Wp Age Verifier is a responsive and touch-ready plugin for WordPress. Websites from different industries such as alcohol, pharmacy, tattoo, adult content and many more require a mandatory age verification to ensure that the user is above a certain age. Our SEO friendly age verification plugin makes it simple for you to create the age-gate between a website visitor and your content. 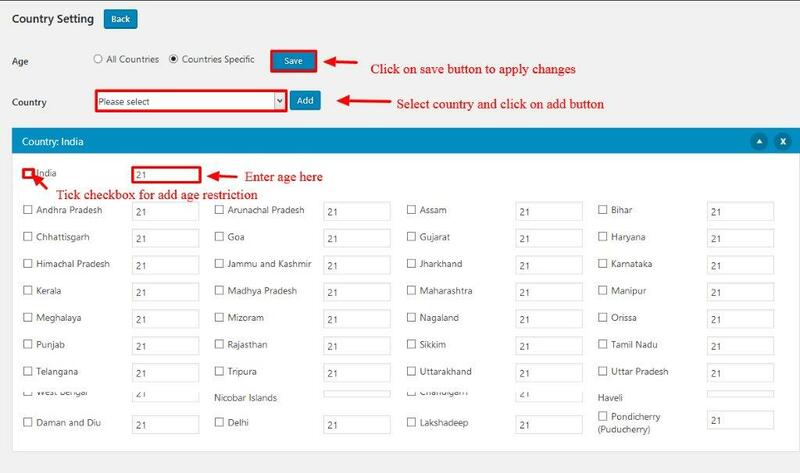 Our plugin automatically detects the user location and sets the age restriction limit as per defined age gate in that particular country/region. 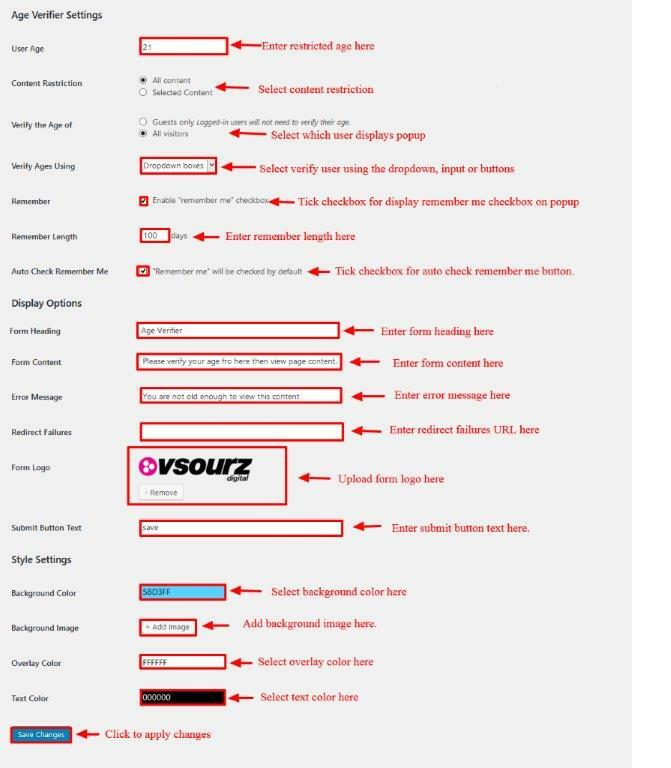 Install the Wp Age verifier, simply activate the plugin and easily customize every aspect by setting age, make a selection of the page or entire website, add heading, description, logo, define layout, perform essential settings and you are good to go! Modify button text as per requirement. That’s it plugin is set up and rolling! Qs: Can I add my logo? Ans: Yes, we have this functionality in our Wp Age Verifier Plugin. Qs: Can I edit the text? Ans: Yes! You can fully edit any of the text. Qs: Will Wp Age Verifier work on all or specific website pages? Ans: Yes, by installing the plugin, visitors will be greeted with age verification message regardless of their entry page. Qs: Is this an ad-free version? Ans: Yes, our Wp Age Verifier is totally ad-free. Qs: Is this plugin responsive? Will it work on a mobile device? Ans: Yes! Wp Age Verifier is responsive and works great on all devices. Qs: Which third party tool is used to detect the user location? Ans: GeoPlugin is a free tool that has the ability to easily geo-localize the visitor down to the city. Qs: How many requests will be handled by the third party tool used? Ans: Maximum 120 lookups per minute can be done, if required for more request then kindly check here.